NeuroTracker, previously CogniSens Inc., is a privately owned neuro-tech company based in Montreal, Canada that specializes in measuring, monitoring and improving cognitive function for human performance and recovery. With over 35 published studies and 40 on-going collaborations, NeuroTracker has become a scientifically validated tool used in over 750 installations worldwide and has recorded nearly half a million baseline scores. 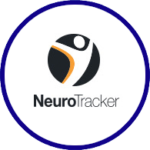 The company’s flagship product, the NeuroTracker, is a patented, non‐invasive system that uses 3D multiple object tracking to improve the efficiency of neural networks that govern situational awareness, attention, executive function and cognitive stamina, which benefit individuals across the human performance spectrum, from learning and attention, to trauma and neural disorders, to mental fitness and active aging, to elite sports and military. Short, 5-6 minute sessions, provide an objective cognitive measure while intervention programs with consistent training have shown improvement in perceptual-cognitive abilities as well as far transfer onto real-world tasks. NeuroTracker solutions include both centre-based and remote training programs. Therapists, clinicians, and trainers can remotely monitor progress of their customized intervention programs – anywhere, anytime. To learn more, visit www.neurotracker.net.